It is hard to write about one of my kids without sending a shout out to my other kid. This is Zoe. She is a Tabby Cat with a personality. She is quite friendly and her best friend Max and her like hanging out. 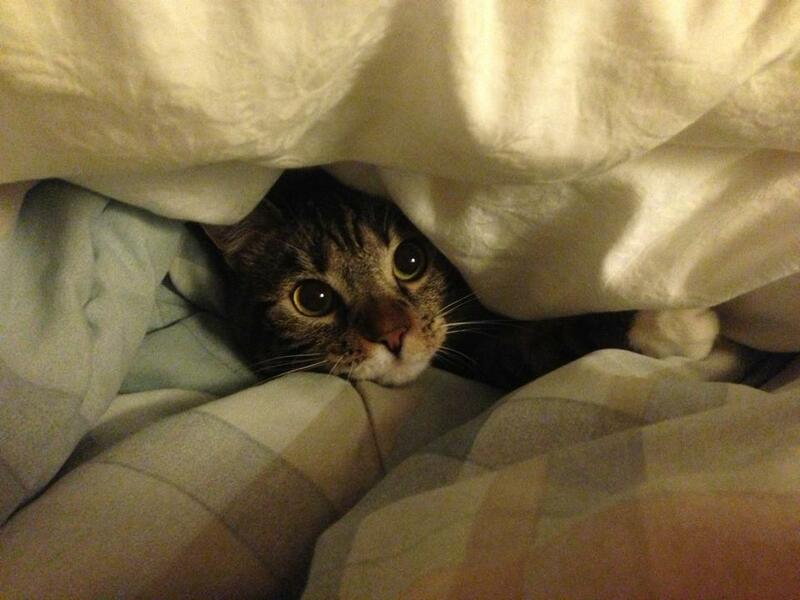 So here is my little girl peering out from the blankets. Two years ago I adopted her from the SPCA here in San Francisco. Say hi Zoe. The camera is ready for a closeup.